If your child needs to fly alone, first check with the specific airline they'll be on to see what the rules and regulations are. Some airlines will only allow children to travel alone if they participate in what is called an Unaccompanied Minor Program. These programs allow younger children to travel by themselves for an additional fee to cover the cost of having an airline representative stay with them to provide supervision and assistance throughout the trip. The rules and restrictions of the programs vary widely by airline, so it’s imperative to reach out to a representative from that airline before booking any reservations. At American, Delta, and United, for example, the Unaccompanied Minor Service is required for any passengers ages 5 to 14 who are flying by themselves. The cost is usually an additional $150 each way, and there are restrictions on what type of flights the child may fly on. 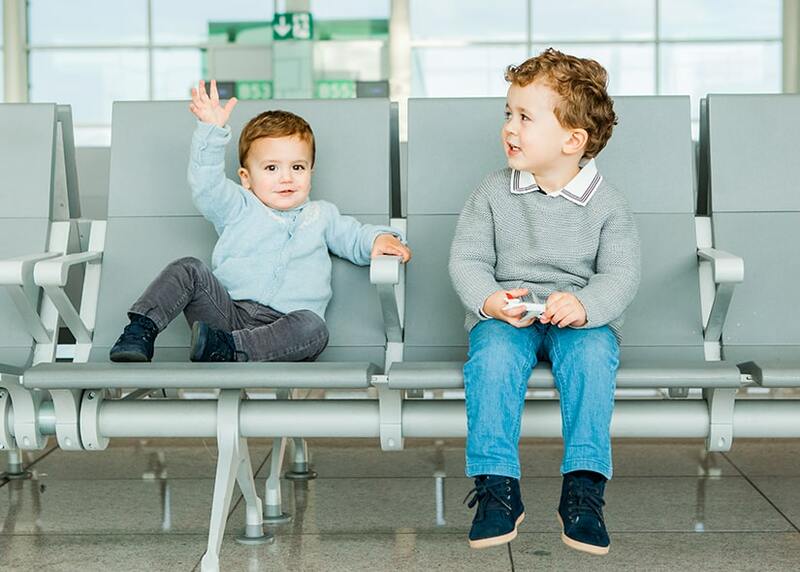 For instance, children might only be allowed to fly on non-stop or direct flights, or flights where the connection takes place at a specific airport. If you have two or more children flying, the rules differ further. At Delta, for example, anyone younger than 5 must be accompanied by someone 18 years or older. However, American Airlines will allow children as young as 2 to fly if they are accompanied by someone at least 16 years old or older, but the younger child must still be enrolled in the Unaccompanied Minor Program and pay the additional fees. JetBlue will allow children between the ages of 2 and 13 to fly if they are accompanied by someone at least 14 years old without being enrolled in their Unaccompanied Minor Program. Southwest Airlines will allow children between the ages of 5 to 11 to fly with a sibling without an additional fee if one of the children is at least 12 years old. Allegiant and Frontier, two popular U.S. airlines, do not offer unaccompanied minor programs. At these airlines, children 14 years and under must fly with a passenger who is at least 15 years old, or they cannot fly. Remember that each airline is unique and that it is crucial to check with the specific one they'll be using to make sure you meet their requirements. All airlines have different restrictions on how many children can fly together at one time unaccompanied by an adult. Each airline also has specific rules for the type of identification required for booking reservations for children, as well as the drop-off and pick-up requirements. And most airlines won’t accept unaccompanied minors if they are connecting to or from other airlines.